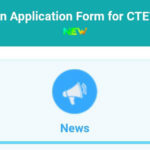 Candidates can apply for CTET 2019 Exam by logging in to the official website of CTET after the notification for the same has been released. 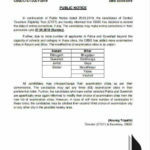 A candidate belonging to either General or OBC category is required to pay Rs. 700/- (if applying for either Paper I or Paper II) and Rs. 1200/- (if applying for both the papers). The same amount is reduced to Rs. 350/- (if applying for either Paper I or Paper II) and Rs. 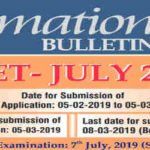 600/- (if applying for both the papers) for candidates belonging to SC/ST category.